The 2018 VLN season came to an end with its ninth and final round on October 20th and in the final race Muehlner Motorsport was able to clinch three titels: the Carrera Cup with the H&R supported Porsche GT3 Cup Gen II #123 and the Driver and Team Championship in Cayman GT4 Trophy with the MABANOL and H&R supported Cayman GT4 CS #969. During the nine VLN races of the 2018 season, Muehlner Motorsport was able to win a total of eight races, six of them in the Carrera Cup and two of them in the GT4 Trophy. 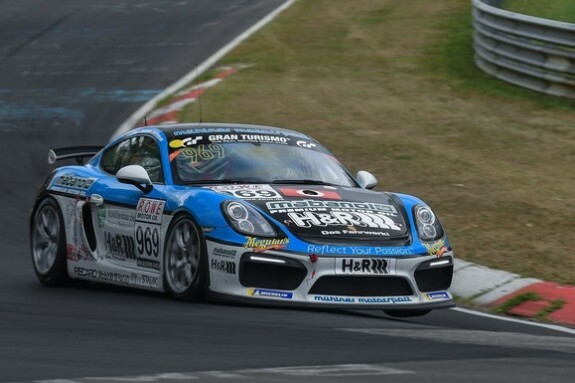 Muehlner Motorsport participated with two Porsche 911 GT3 in the Carrera Cup class. The #123 car driven by Marcel Hoppe, Moritz Kranz and Tim Scheerbarth was able to score six wins and one second place on its way to the championship. The sister car #124 was permanently piloted by Michael Heimrich and Jean-Louis Hertenstein. Peter Terting and later in the season Arno Klasen joint them and shared driving duties. In VLN5, the 6h race, Alex Schula came on bord. In total the #124 was able to secure three second places and two third places beside a couple of Top5 finishes. The #969 Cayman of Michael Rebhan and Moritz Kranz, partly supported by Peter Terting and Felix Guenther was able to secure two wins, two second places and two third places which was enough to give Moritz Kranz the chance to defend his driver title. Michael Rebhan finished the season in third place, since he was not able to participate in VLN7 due to work commitments. After 2017 Muehlner Motorsport is also Team Champion of the 2018 season. The second GT4 Trophy Cayman #979 finished two times on the podium until a big accident at VLN5 unfortunately put it out of contention for the rest of the season. Both ADAC races on the Nuerburgring Nordschleife went perfect for Muehlner Motorsport this year. Two times the Muehlner Motorsports Porsche Cayman GT4 CS were able to secure P1 and P2 in the qualification and in both races as well. In July Muehlner Motorsport participated in an one-off entry at Spa-Francorchamps. With Moritz Kranz behind the wheel, the team was looking forward to their first race in the SRO European GT4 Series. The qualification was a teaser on what was to expect: P1 in class and P4 overall out of 48 cars and being the fastest Porsche Cayman GT4 MR on the grid was the result after Q1. The second quali run was cut short due to a tyre failure and no time was set. Starting from P4 in the first race, Kranz was able to move up to P2 within the first lap and got in the lead after the pitstops. While leading the 48 car field the message from race control came through: Stop&Go penalty due to an pitstop infringement. In the end, Kranz finished only P2 in class and P13 overall. Starting from dead last in the second race, Kranz was able to move up 38 positions in the one-hour race to finish on P7 overall and P1 in class. The season started with two promising races at St. Petersburg / Florida: Gabriele Piana was able to secure pole position and two second places in the races on the very difficult street circuit in the PWC Sprint Series GTS. For Virginia Moritz Kranz partnered up with Gabriele Piana. A third place in qualification showed the potential of the car in the 30+ car field but luck was this time not on the side of Muehlner Motorsports America: A DNF after an accident and a seventh place in the second race was all to take home after the race weekend at the Virginia International Raceway. 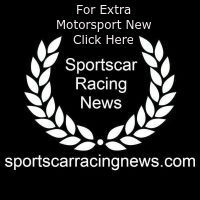 At Lime Rock Park / Connecticut Efrin Castro joined the team as replacement for Gabriele Piana. Another third place in the qualification promised a good race weekend and this time everything went according to plan: A third and a second place finish in the two races showed again that the Team, the Drivers and the Car were able to perform at the top of the charts in Pirelli World Challenge. The last participation in the 2018 PWC season was at Portland / Oregon. Once again a difficult race weekend with a lot of incidents which made it impossible for the Team and the Drivers to take home good results but this is sometimes a part of racing. You need a little luck to implement the existing potential in good results.